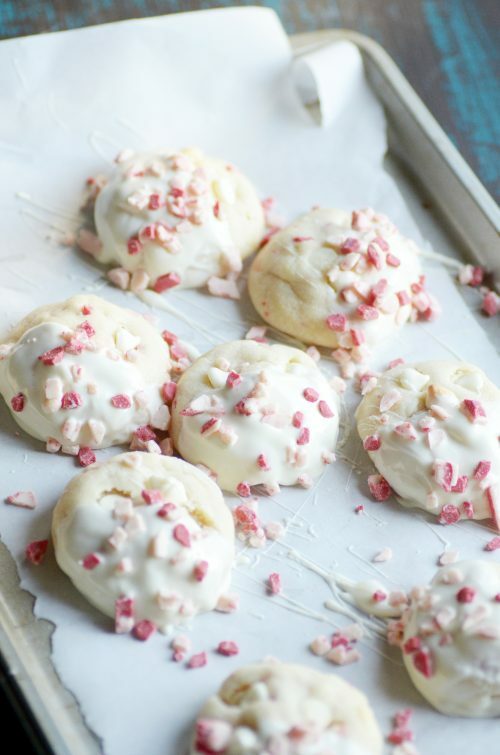 Soft sugar cookies dipped in white chocolate and peppermint bits. Haha, what a pitiful 12 Days of Christmas Cookies it’s been over here on Something Swanky this year! And that’s pretty much it. ???? But what a fabulous recipe that one, lonesome sugar cookie recipe was, if I do say so myself. 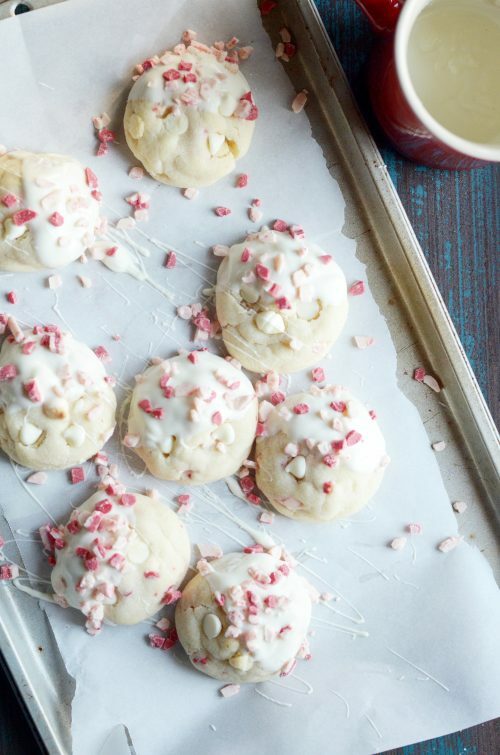 And, let’s be honest, it’s not like there’s a real shortage of cookie recipes around here! And I could really go on and on and on still. I didn’t even get to any of my favorite chocolate chip cookies! But there are really too many to choose from in that category. You’ll just have to promise me you’ll browse those yourself later. Anyway. 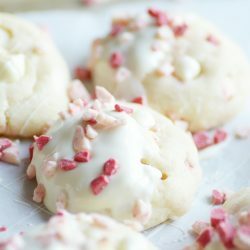 Sorry for being so lame this year and not getting 12 new recipes up. But this Christmas is all about survival! I think I’ve mentioned before that I seriously underestimated the energy it would take to move and settle in during the holidays. I’ve taken Lofthouse Sugar Cookies to nearly every Christmas function this year. And I don’t mean my copycat recipe. I mean the ones from Target. Yuuuuuuup. This year, that’s me. I feel like I need to carry a sign, “Yes, I’m the lady with the dessert blog. No, I didn’t make anything. Yes, those are my storebought cookies.” ???? Next year, it’s going to be amazing. I pinky promise. 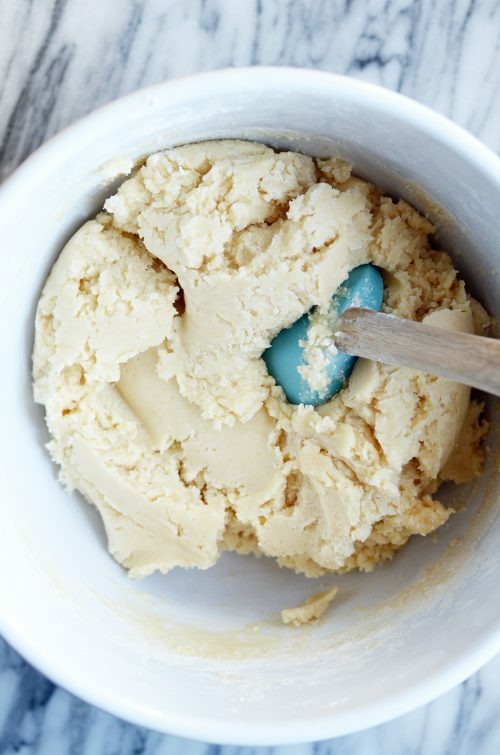 And to tide you over, how about one more new cookie recipe? 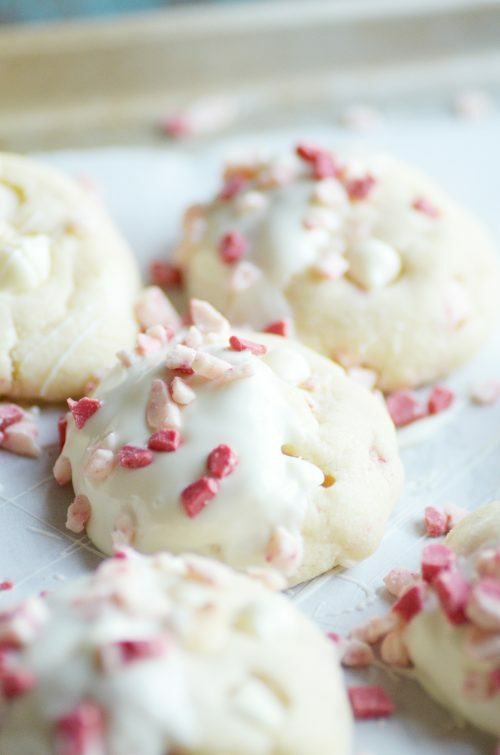 If you like peppermint and white chocolate and the softest sugar cookies on the planet, this recipe is for YOU. 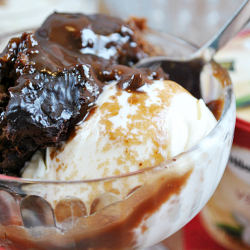 I'm sharing this recipe in partnership with eBay. CLICK HERE for the full recipe in my eBay article.